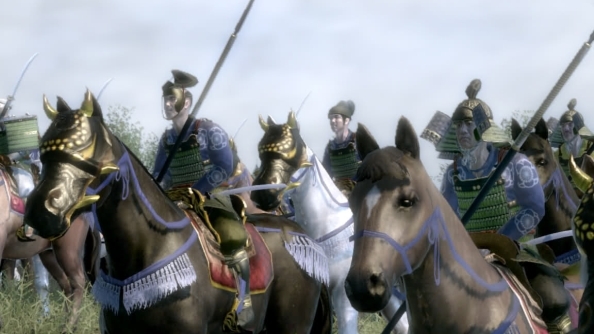 While we wait for the next Total War game it’s worth considering upgrading Shogun II. 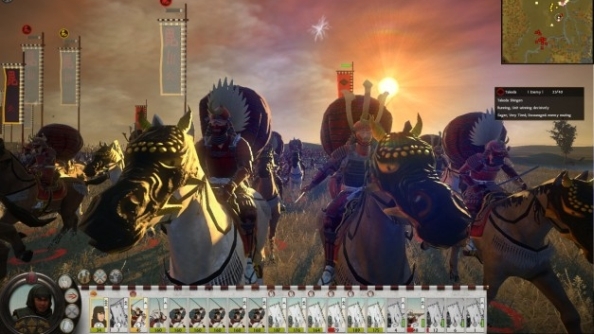 Finding Shogun 2 mods is always going to be a pain until the Steam Workshop comes to Total War – especially as good ones seem as rare as a tasteful Horo. We’ve gone through those available and picked a selection of the better-maintained and better-designed ones. Remember, not all these work well together – so if you’re going to install multiple mods, use something like the All-in-one pack, the Zen pack or the Radious Collection. The enemy campaign AI in Total War games is famously inconsistent, with a tendency to cheat or behave bizarrely in the presence of an non-AI character. In our recent chats with the developers, they’ve admitted the difficulty of creating believable AI without taking shortcuts (and look damn shame-faced when we brought up the subject of AI cheating).DarthMod redresses that, making apparently rational AI behaviour in the campaign, land battles or sea battles. It’s the simplest of mods, but makes more than a background difference. The enemy AI makes better use of its units and the subtle alterations in morale, arrow spread and so on, really change the battles. Given that it also increases unit sizes and densities, fighting a DarthMod AI is always a more reliable challenge. TROM is a fix-pack for Shogun II. Where Darth mod alters the general AI, TROM focuses on a hundred little fixes to improve the user experience. Firstly, it extends the campaign to 1640, giving players more time to achieve their objectives. It does however, include some AI changes – specifically to help some of the factions use their units and territories better, but also changes to their agent abilities and to improve the use and value of monk units. The Additional Units Mod adds 11 new troop types to Shogun II as well as unlocking the faction-specific units for use by all players. The new units are not exactlystunning – they mostly look like reskins or variants of existing units – but they certainly do add a little more length and life to campaigns and battles. If you want more units, try the Realism + or Radious mods. Update – AUM-SHO doesn’t work anymore, using Radious will give you most if not all the units included though. Similar to the Realism + mod, Zen is a top-level mod that overhauls the game. The ashigaru (peasant) units are a particular focus, having been made substantially cheaper and having larger units, to reflect how common they were, and the AI has been tweaked to produce less of them. Similarly, to give players a fighting chance, battles have been slowed down and initial garrison sizes increases, so the game doesn’t degenerate into opportunistic warfare immediately. Every clan has been given a unique feel, by altering their unit rosters, giving the units correct Japanese names, and giving each clan a single, unique Hero unit.Update – Zen only works when it’s installed on its own. The main Shogun 2 Realism project has focused on balancing the combat of the game, without looking at the campaign. This expansion focuses more on the main world view, but also rejigs the battle system by extending their length. It also makes you focus more on the units, by letting you see their martial art animations and changing how they advance during the campaign – for example, Ashigaru actually become closer to professional soldiers the longer they survive. On top of the units from the AUM-SHO (above), there are another 30 unit types added to the game, many of which are faction-specific; other units have had their names changed to the true Japanese names and even the unit-recruitment system has been revamped. On the campaign side, the changes are more fundamental. 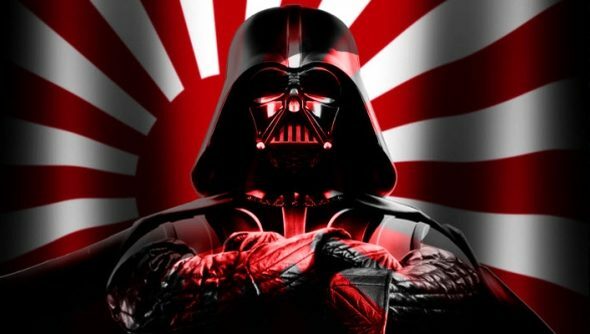 Both buildings and arts have been deeply changed, factions are much more long-lasting, cultural influences (Ikko, Buddhist, Catholic allegiances) play a campaign role, and cashflow is a problem throughout the campaign. Similarly to DarthMod, it also fixes the unrealistic AI behaviour by including the universal AI mod. Because it uses several other mods as a base, it’s best only run alone.Update – No longer updated. This is a combination pack, mingling several different mods, so that players can create their own Shogun II experience. Players can alter the unit roster, the building availability and cost, the way how units gain experience and subsist, the way characters mature, the in-game AI, the game techs, and a huge naval mod. The All in One Mod combines most of these mods, as well as maybe a hundred others, and allows you to choose which to implement.